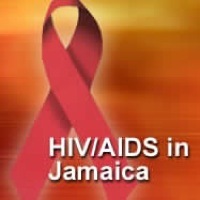 The Jamaican Observer reported today that the country is receiving PEPFAR funds to fight HIV/AIDS stigma. Stigma is one of the major barriers to decreasing HIV transmission across the region, and also greatly affects the lives of those living with and affected by HIV. youth in rural and urban communities, marginalised population and faith-based organisations through specific initiatives. A major part of the stigma reduction program will include developing communication campaigns to inform and educate different populations about AIDS. It’s amazing that thirty years into the epidemic, there is still a lot of confusion about AIDS, and often, this breeds stigmatization. Some funds will also be used to educate women leaving prisons, a population who are often stigmatized for their status and that puts them at risk. Do you have other example of health communication interventions targeted at at-risk populations in your community?